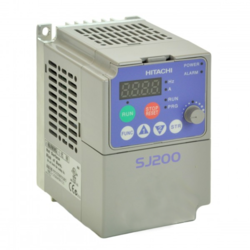 Prominent & Leading from Coimbatore, we offer hitachi hh100-4r0-4 vfd, hitachi hh200 vfd, hitachi sj700id-450hfef2 vfd and delta vfd-ve series frequency inverter. HH100 Series Drives are positioned for High performance applications in industrial machinery market. 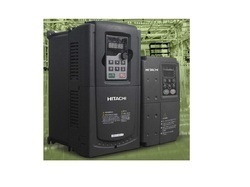 HH100 drives have excellent motor control performance and EMC performance. These drives are designed for textile machines, food processing machines, ceramic process machines, plastic machines, machine tool industry, elevators, transportation equipment etc. The separate air duct prevents the contaminants into the electronic parts/components and greatly improves the protective effect of the inverter, as well as its reliability and service life, to adapt various complicated site environments. Digital setting, analog setting, pulse frequency setting, multi-stage speed running setting, simple PLC setting, PID setting, MODBUS communication setting Realize the shifting between the set combination and set channel. Provide over 30 fault protection functions: overcurrent, overvoltage, undervoltage, overheating, phase failure and overload, etc. 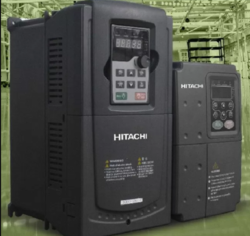 Hitachi HH200 series drives based on DSP control system, apply SVPWM control and a variety of protections for asynchronous motor drive. The air duct, hardware and software have been greatly improved for better environment adaptability and operation. Smaller installation space with low cost and beautiful appearance. They are available with Advanced Sensorless Vector Control. Built-in PLC type programming functions. 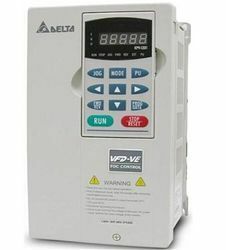 We offer Delta VFD-VE Series Frequency Inverter to our clients. This series adopts FOC (Field Oriented Control) which is a far more precise vector control algorithm. It can be used in both speed control and position control similar to a servo motor drive. The multi-function I/O terminal is expanded to meet users' various application needs. In addition, it is supplied with a Windows-based PC software program for managing parameters and dynamic monitoring. It provides an excellent solution for load regulation. It can output 150% of rated torque at zero speed, and it can have "point to point" and relative distance control functions for position control, making it the best choice for challenging industrial control applications.